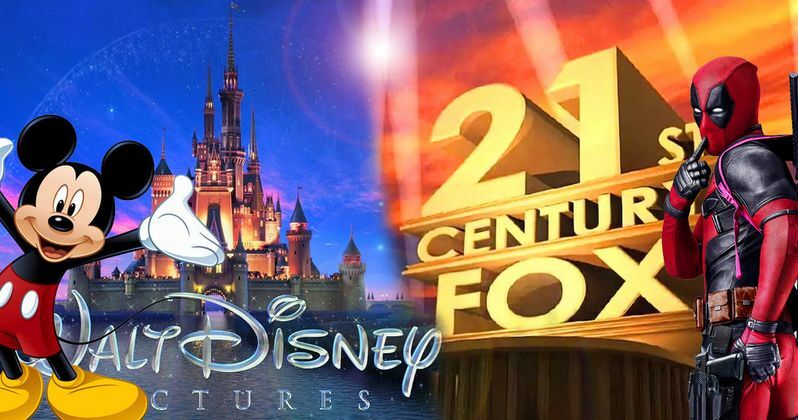 The acquisition of 21st Century Fox by the Walt Disney Company has come a step closer into fruition, as the shareholders of both companies met this morning and voted in favor of the purchase. Earlier reports claimed that Fox's shareholders were against the purchase by Disney, and that they instead wanted the company to be purchased by other companies such as Comcast, but this latest report says otherwise. Since late last year, the purchase of Fox by Disney has been commonly discussed. While things looked as though they were set in stone in December, the actual process of the purchase actually takes a lot of time. For a while, it looked as though Fox would instead be purchased by Comcast, who raised their bid higher than Disney's. Comcast eventually gave up the bidding, however, after they raised the price nearly $20 billion. With Comcast out of the picture, the only possible threat standing in the way of Disney and Fox was their shareholders. According to this morning's report, 99% of Disney's shareholders voted in favor of the purchase, which is an absolute landslide of shareholders in favor. At the same time, Fox's shareholders also met and came to the same decision. While their vote probably wasn't as unanimous, the outcome was still the same. Not enough people at 21st Century Fox had an issue with the purchase, which means that the acquisition will still be moving forward accordingly. The next step for the Fox / Disney deal is for it to be analyzed by regulators. The regulators will essentially analyze the entire purchase to make sure that it is all legal and doesn't break any business taboos set by the U.S. government. Their main concern will be making sure that this purchase doesn't create a monopoly for Disney, as they will become the largest company in Hollywood by a long shot. However, even after the purchase, Disney will still own less than half of the industry, so it certainly will not qualify as a monopoly. Regardless, the regulators will still have to double check the numbers. One of the most discussed "pros" of the Fox acquisition is the inclusion of the X-Men franchise into the Marvel Cinematic Universe. According to a report yesterday, Disney is already becoming slightly involved with the X-Men franchise and are rather displeased with the results of The New Mutants and X-Men: Dark Phoenix, with both projects being rumored to be absolutely scrapped by FOX in the near future. The X-Men won't be the only asset being purchased by Disney, however, as a number of other franchises will also fall into the Disney bucket, including Predator, Avatar, Die Hard, and Planet of the Apes. Based on this most recent report from Alex Heath, the Fox-Disney merger could occur early next year. Though there have been a few bumps in the road for the purchase, it would seem a majority of the obstacles have been overcome. Assuming the regulators find no issues with the acquisition, we should expect to see 21st Century Fox become a property of the Walt Disney Company rather soon.